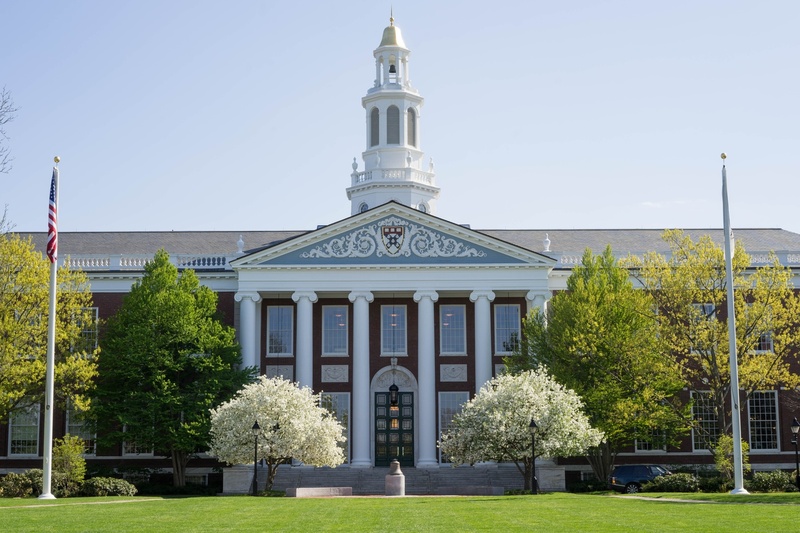 After months of fine-tuning acoustics and calibrating technology, Klarman Hall — Harvard Business School’s latest construction project — made its debut Monday as a state-of-the-art convening center. Though the project was completed in June, Klarman Hall celebrated its official opening on Monday. Business School Dean Nitin Nohria, University President Lawrence S. Bacow and Massachusetts Governor Charlie D. Baker ’79 spoke at the dedication ceremony, followed by a symposium on democracy featuring faculty from several of the University’s schools and other leaders in the field. The project, which broke ground in 2016, replaces Burden Hall, an older conference center strained in capacity by the growing Business School community, said Business School spokesperson Brian C. Kenny. The project was funded by its namesakes, Seth and Beth Klarman, who also led the dedication ceremony. Seth A. Klarman, who received his MBA from the Business School in 1982, is CEO and portfolio manager of The Baupost Group, an investment management firm. The total cost of the project was $120 million, according to Kenny. In addition to an auditorium with state-of-the-art technology — including a 32 million pixel screen, the largest of its kind in Boston, according to Kenny — the center boasts recording studios for podcasts and webinars and a black box room for filming for HBX, the online extension school. In addition to hosting large-scale conferences, Klarman Hall will be used for class events, musical and artistic performances, and smaller “more intimate” discussions, according to Kenny. This is made possible by a unique architectural design that allows the auditorium to convert into several smaller spaces. At a panel discussion following the dedication ceremony, former Dean of the Law School Martha L. Minow led a faculty discussion on the current state of democracy around the world. Minow was joined by Law School professor Michael Klarman, Government Lecturer Yascha B. Mounk, Jeffrey Goldberg, the editor-in-chief of the Atlantic, and Bret Stephens, an Op-Ed columnist for the New York Times.